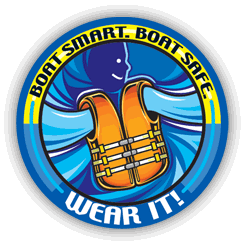 Since it is the summer time, we thought it would be a good time to do a post on boating safety. Whether it is a kayak, a row boat, or a high speed power house of a boat, there are basic boating rules that all boaters should keep in mind. We thought we would cover a few of them here and invite our readers to add their comments and suggestions regarding how to really enjoy the water and be safe at the same time. Bottom line, if you are in a boat you should be wearing a life jacket or at the very least know where they are stored and know how to put them on quickly. Every year you hear about people who have accidents while boating, some drown and others survive but have severe injuries. Yet it is so simple to avoid these situations and still have a fantastic time on the water with your family and friends. Many boats have more powerful engines than a lot of cars. Yet when we get in a boat it seems that all the rules of the road are forgotten. We speed, we do careless things and some even drink alcohol while on the water, endangering the lives of our friends and families and other boaters. Small boats, canoes and kayaks are very susceptible to waves from larger boats as well. Some operators do not consider the consequences of boating without taking the proper safety precautions before the get on the water. Even if you are a great swimmer, you may be in no condition to swim after an accident. Here is a list of the common safety precautions that everyone should consider and in some cases they are quite similar to hiking or to white water rafting. Always have enough safety jackets in the boat for every person. Children should be wearing them at all times. If someone accidentally falls in and is wearing a jacket, they will float and you can always toss them one as well. In addition in an accident, were you are knocked into the water, perhaps lose conscientious or cannot swim, your life jacket will keep your head above water so you can breathe. Never drink and drive when operating a boat. It is difficult enough to operate a boat safely, with craft coming from all directions and have your concentration impaired as well. Some locations such as the Province of Ontario, in Canada, do not allow alcohol on a boat at any time. In fact if you are stopped, you can be charged. Never overload a boat. This includes the number of people as well as gear and luggage that you might be carrying. A boat that is low in the water due to weight, can easily be swamped. Check the weather conditions and water conditions prior to heading out. Storms can come up quickly and cause large waves to hit your boat especially in small shallow lakes. If in doubt, you may want to re-consider your boating trip. Plan your boating excursion. Make sure you have sufficient fuel on board for your trip, stored properly, and let someone who is not with you know were you are headed and when you are expected to return. Same rules for hiking! You want people to come looking for you if you do not return on time. Fuel on boats is always a dangerous issue. Fumes tend to build up, especially with in board engines. Follow all of the standard starting procedures prior to starting your engines. Make sure you clear the air with the exhaust fans first. Never smoke or use a lighter around the engine compartment. Whether you are water skiing or tubing, always operate your boat safely taking into account other boaters and potential immersed logs and other possible obstacles. Many people are run over or the lines are snagged causing significant injuries. Wear lots of sun screen. Although this is not really a safety issue, it definitely is a comfort issue. The sun is hot and can burn exposed skin quickly. Re-apply several times throughout the day. I am sure there are lots of other safety related issues to consider, however we think these are the main ones to consider when you are out boating. Above all use your common sense whether you are boating on a small lake, or going white water rafting. If you have not boated before or it is the first time on a lake, get a map or take someone along who knows the area and can help to guide you. Maintain your equipment in top notch condition. It may save your life sometime. Being lazy or trying to save a few dollars is just nor worth it when you life or your family’s life could be at stake. While we have only covered a few of the safety issues associated with boating, we invite our readers to let us know about other safety conditions that should be followed. Please feel free to make your comments. All will be considered, spam will be deleted. Enjoy your summer and your boating excursions. a lot of people do not want to have to get boating licensees, but the real issue or reason to get a license is to teach some safety while boating. there are just too many people who die from boating accidents every year.